Happy Friday! I don’t know about you, but I am definitely in need of the weekend. Like real bad. I’ve just been so restless lately and so bored with everything in my usual routine. Wake up, go to work, attempt to go to the gym, come home, and cram in as much baking, photo editing, and writing as I can. I think I’m feeling bored and unable to focus because it’s finally springtime. And it actually feels like springtime outside! How can I focus on all these things inside when everything outside finally isn’t gray and cold anymore? Spring! It’s a miracle! 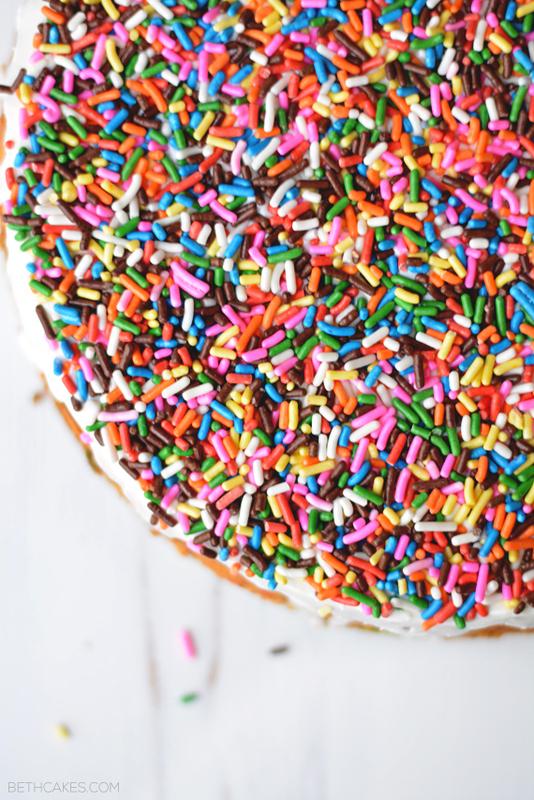 Let’s celebrate with boatloads of sprinkles. And I do mean boatloads. Months and months ago, I was doing this thing on Instagram (I think I may have done it like twice) where I would post a #funfettifriday photo. I got so many more likes on it than I was expecting! But I mean…it makes perfect sense. 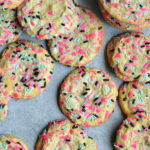 How could you not like funfetti and sprinkles? I decided I would start doing that again, but make it a series on the blog. Right now I’m shooting for two Funfetti Friday posts a month, and I really need y’all to hold me to it because I can see myself starting this series and then completely slacking off, haha. So Funfetti Friday it is! This cheesecake might be my new favorite thing that I’ve ever made. A) It’s funfetti. B) It’s cheesecake and it’s super creamy. C) It’s also covered in frosting. This cheesecake has a super thick graham cracker crust, which I love. And even after freezing it overnight, the cheesecake filling was fluffy and easy to cut into. So dreamy. Funfetti usually reminds me of buttery vanilla cake, so I wanted that cheesecake texture with a little less of the cream cheese flavor. I added some extra vanilla extract and one container of vanilla Greek yogurt, and I think that really did the trick. And the yogurt also contributed to the creaminess. Hold on, I’m drooling, sorry. I am so rude. If you’re sort of still stuck in a wintery rut and need something to help you out of it, you should definitely make this cheesecake. I hope it brightens up your day! Preheat the oven to 350 degrees and spray a springform pan with nonstick spray. Combine graham cracker crumbs and melted butter in a bowl and mix until all the crumbs are evenly coated. The mixture should hold its shape when pressed together. Press the mixture into the bottom of the springform pan and bake for 10 minutes. In a large bowl, beat the cream cheese on medium speed with an electric handheld mixer until smooth. Add sugar, Greek yogurt, and vanilla, mixing until just combined. Next, add the eggs and mix just until incorporated. Then add the flour, mixing until just combined. (To prevent cheesecakes from sinking, mix the batter as little as you can to avoid incorporating too much air into the batter.) Fold in sprinkles. Beth, you are a GENIUS!!!!! I would have never thought of doing something like this!!!! 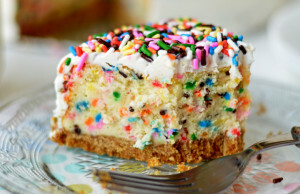 Funfetti Friday is a great idea! I’m looking forward to seeing what other funfetti recipes you come up with. 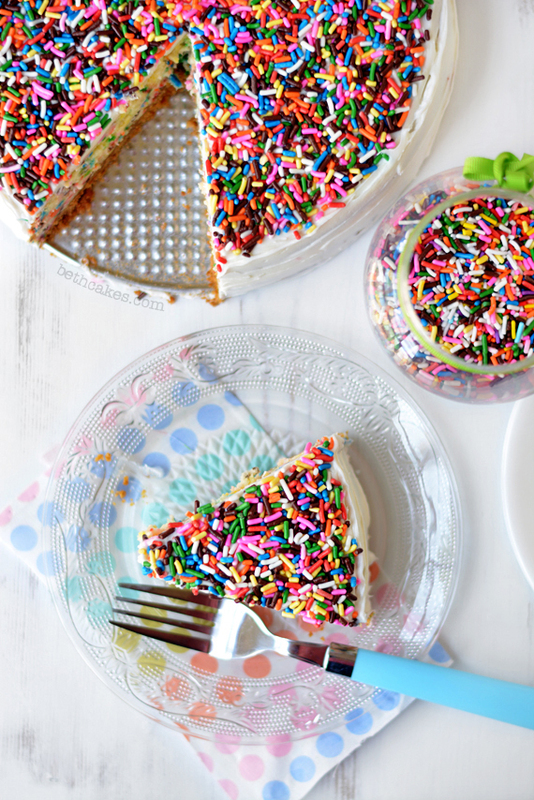 If they’re anything like this cheesecake, I have a feeling there will be POUNDS of sprinkles in my future, haha. 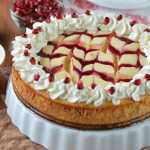 Love how fun and festive this cheesecake is. 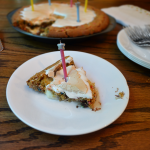 It would be perfect for a birthday, or any celebration, really! This looks so fun, Beth! Is it weird that I’ve never heard or funfetti? It looks absolutely great! Never heard of funfetti!?! You need to try it sometime soon. Thanks, Jessica! Now that is an unbelievable cheesecake! The Greek yogurt is so smart. And that polka dot napkin and blue fork just sets it off! Cheesecake with frosting? I did not know there was such a thing. Tasty! Sprinkles always make me happy! And I love that you added them to cheesecake, great idea. Have a wonderful weekend, Beth! Thanks, Ashley! I hope you’ve had a wonderful weekend too! Beautiful AND delicious – this was an excellent combination! The photos are wonderful! 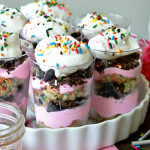 Funfetti friday is such a fun idea! 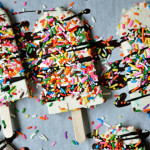 I love sprinkles – they make me happy! 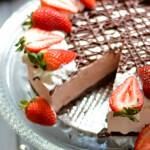 And this cheesecake looks so so awesome – I love how thick that crust is! Thanks, Chelsea! You leave the sweetest comments. 🙂 Thanks for pinning too! Happy Funfetti Friday, Beth!!! Love it, it’s so pretty! It’s funny … I’m desperate to settle somewhere and have a break from my hectic life on the move for a while, but after I do I wonder how long it’ll take me before I’m feeling bored!! Probably about 2 weeks … lol! We always want what we don’t have, huh? Thanks, Helen! This cheesecake will definitely brighten up anyone’s day. Hope you had a great weekend too! Man I’ve been feeling that weird little boredom too lately. I’ve just been so fidgety and not sure what to do with blog stuff and ugh. But Beth this cheesecake is so pretty ! And I bet it’s absolutely delicious. How could something that gorgeous not taste just as gorgeous?! 😀 Funfetti Friday FTW! Can I leave out the eggs in the cheesecake? is it safe to each raw eggs? Hi, Katie! There aren’t any raw eggs in this cheesecake. It bakes for 45 minutes, so it’s very safe to eat. Hope you enjoy it! Heck yeah to Funfetti Fridays! What a way to start it off – talk about gorgeous! 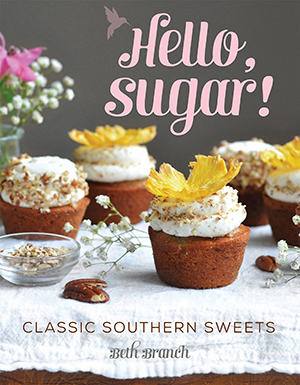 Love love love this – pinned! Thanks so much, Mary Frances! And thanks for pinning! Need this. With ALL the sprinkles!!! It’s so pretty, and makes me happy 🙂 Pinning, and definitely making! This is so cute and so fun! You’d BETTER keep up the series, because I could use more funfetti in my life! 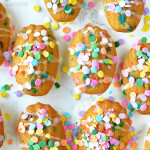 I love this idea of funfetti Fridays, I can’t wait to see what you come up with. 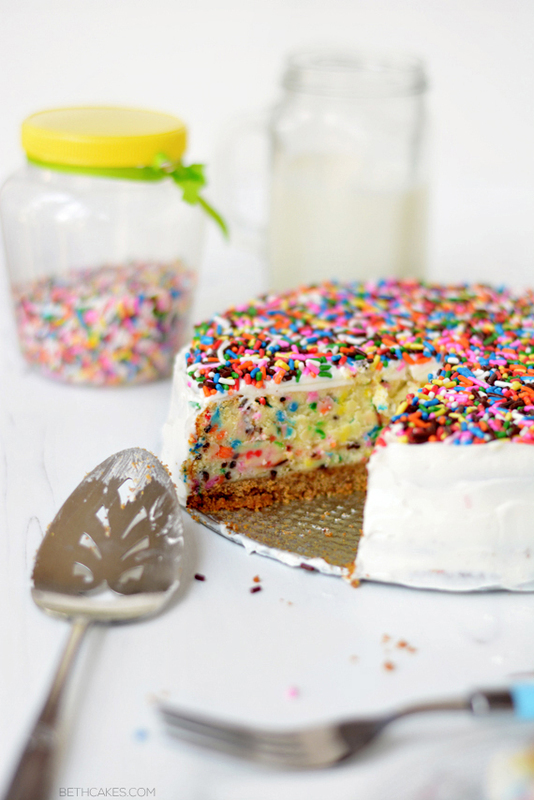 This cheesecake looks great, so fun and pretty! I just found your site through Chelsea of Chelsea’s Messy Apron. Love what you got goin’ on over here. 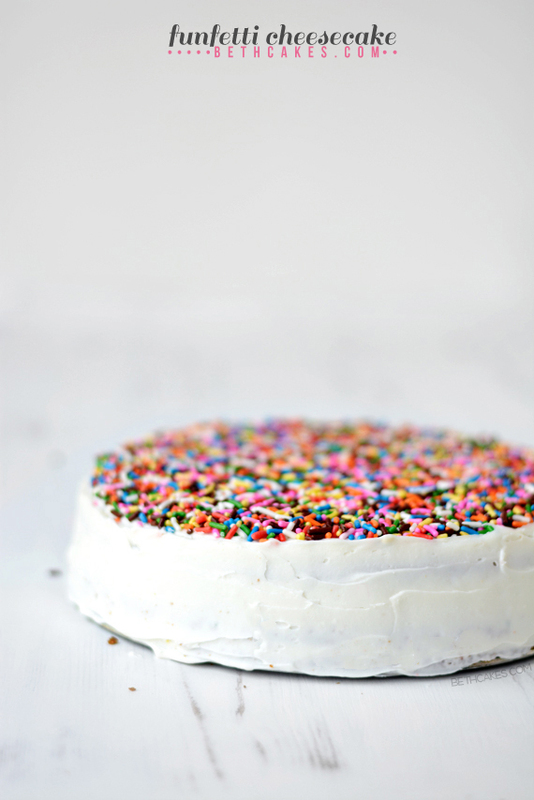 Yes to boatloads of sprinkles and lazy weekends. Love this cheesecake! You just killed me with this one. Way too good. I am dying over this!! Like for real drooling!!! So beautiful! And PS: When you figure out how to get out of the bored go to work, bake, pictures, edit, write rut, please let me know! I’m in desperate need of some help. THIS IS WHAT HAPPINESS LOOKS LIKE. you have made my day with this one sista!! Which I had a piece right now to celebrate the weekend. Hope you have a good one! What’s the purpose of using softened butter in this cheesecake recipe, this is the first cheesecake recipe I’ve seen that calls for butter in the batter. Hi, Jackie! 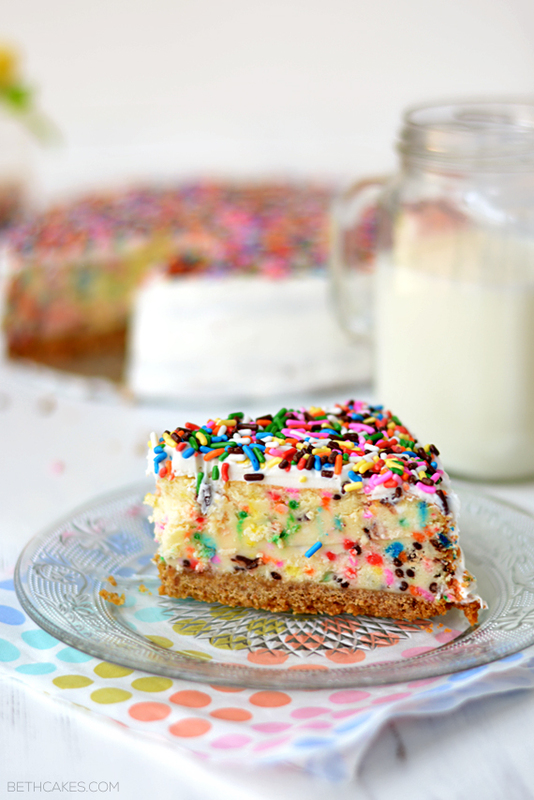 I used butter in this recipe because I wanted the cheesecake to have more of a “funfetti cake” flavor. 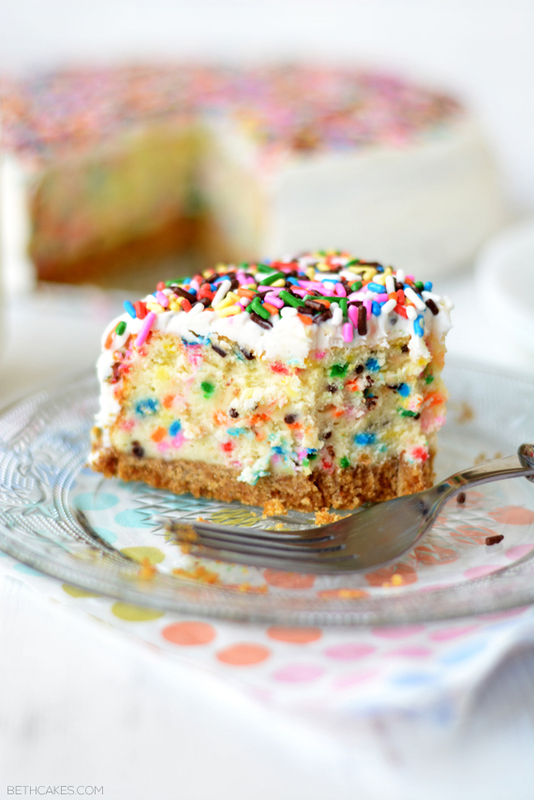 Typically funfetti cakes are white cakes or yellow cakes with sprinkles in the batter. So it helps give that slight buttery flavor to the cheesecake. Hope this helps! I’m trying to see the receipe, but it doesn’t seem to come up. Is there a way to get the ingredient list and step by step instructions? Hi Abbie, it seems the program I’ve been using to display my recipes isn’t available anymore, and that’s why the recipe wasn’t showing up. I’ve added it back now, though! Hi Amanda, I’ve added the recipe back to this page. Sorry about that, technical difficulties happen sometimes. I’m glad you’d like to make the recipe though! If you try it, let me know how it goes! Hello there! I was wondering if you could share the recipe/what type of frosting you used for this cake.